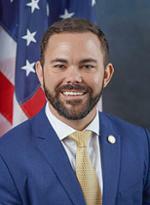 Legislative Service:Rep. Jared Moskowitz resigned 01/11/19 to serve as Director of the Florida Division of Emergency Management. Dan Daley was the only candidate who qualified, and so won by default. However, he will not be sworn in until after the set Special General Election date of June 18, 2018.